Sounders’ annual turnaround is right on schedule — but will it be enough this season? With the addition of Raul Ruidiaz and numerous impact players back from injury and World Cup duty, the Sounders have embarked on their latest second half run. 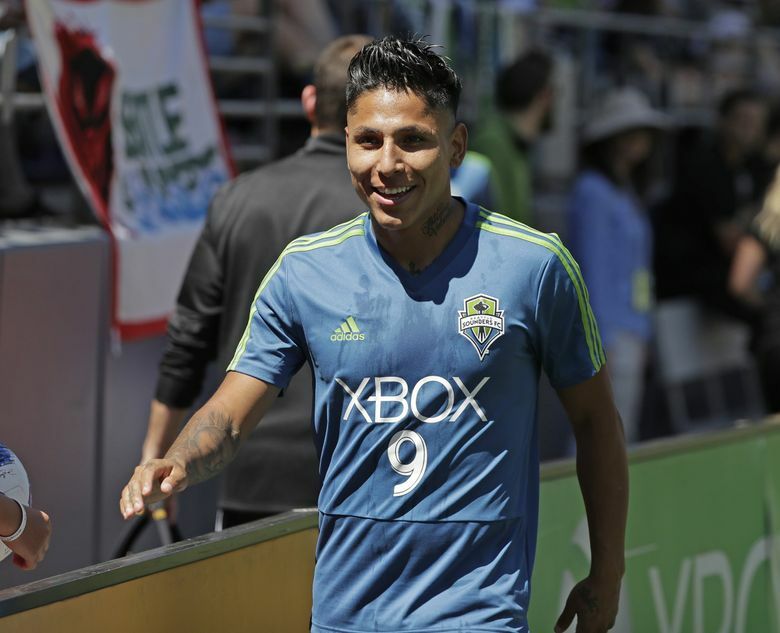 Sounders principal owner Adrian Hanauer had his eyes glued to the pitch, watching newcomer Raul Ruidiaz and his suddenly resurgent teammates in a late-week training session. For Hanauer, a five-game unbeaten streak that has his team back on the fringes of playoff contention presents an interesting conundrum: Wanting the Sounders to qualify for a 10th consecutive postseason while hoping to avoid the perception that Major League Soccer doesn’t matter before August. After all, this is starting to look like a third consecutive year in which the Sounders do a zero-to-hero about-face at the season’s halfway mark. Try selling that to season-ticket holders paying full price for a package of games that start in March. It’s tough to fault the Sounders for a 3-0-2 turnaround the past five matches heading into Sunday’s clash at CenturyLink Field against formidable New York City FC. Just a few weeks ago, the Sounders were being chastised for blowing “must win” home games that dug a hole so deep that even duplicating the historic franchise turnaround from 2016 was viewed as unlikely to be enough to make the playoffs. It still might not be, though a win over NYCFC — the second-best squad in MLS and a point behind Atlanta United FC in the Supporters Shield race — could do wonders. Such is MLS, a league with an interminably long eight-month regular season that enables injuries to be overcome, rosters to be overhauled and last-place teams to become champions. Throw in a relatively weak Western Conference, with plenty of matches remaining against the Los Angeles Galaxy, Houston, Portland and Vancouver teams they trail in the playoff hunt, anything suddenly seems possible. Two weeks ago, analytics website FiveThirtyEight.com had the Sounders’ playoff chances at just 16 percent. Now, they’re up to 30 percent — seven points behind Real Salt Lake for the final playoff spot with a game in-hand — and they have all those in-conference matches to go, knowing NYCFC is likely the best team they’ll play from here on. Part of this turnaround is due to a quirky schedule, owed largely to CONCACAF Champions League and U.S. Open Cup play. The Sounders played just nine MLS games the first three months but after Sunday will have crammed a dozen matches into June and July. That lack of early games helped minimize the impact of injuries to Jordan Morris, Nicolas Lodeiro, Victor Rodriguez, Osvaldo Alonso, Roman Torres and others. Lodeiro, Rodriguez, Alonso and Torres have gradually returned the past month while Ruidiaz has replaced Morris. In fact, Sounders coach Brian Schmetzer even hinted Friday he hasn’t given up on Morris possibly returning from his torn ACL this year. Only a schedule this long could allow a pro team to even contemplate a player coming back from major knee surgery within the same season. Schmetzer said morale has picked up the past few weeks as players return and are added to the roster. And the team could soon add Ruidiaz’s Peruvian national squad teammate Paolo Hurtado. That should take care of any shortcomings on the wing should Rodriguez’s latest leg injury drag out. The MLS schedule is so long the Sounders were able to sign midfielder Magnus Wolff Eikrem for valued targeted allocation money, figure out they didn’t need him and release him only halfway through to make room for another TAM player. Few have benefitted from the schedule’s longevity more than Alonso, who missed the first two months and appeared a shell of his old self. But the return of Gustav Svensson from World Cup duty has allowed the Sounders to rest Alonso more, and he’s looked better in recent stints. Alonso played the first 78 minutes of a 1-0 win at San Jose on Wednesday. A win Sunday would give the Sounders nine points in one week, compared to eight in the first three months. For traditionalist fans valuing a Supporters Shield and season-long dominance instead of just a good second half, this is eye-rollingly familiar. In 2016, the Sounders started 6-12-2, only to finish 8-2-4 and win the MLS Cup. Last year, they started 5-7-6, then went 9-2-5 to tie for the conference lead and reach the final again. But beyond the issue of season-ticket holders paying for games March through mid-July that apparently mean little, there’s the tradition of soccer leagues worldwide awarding championships to the best regular-season teams. Playoffs are mainly a North American creation not all soccer fans — many of them Sounders season ticket holders — are enamored with. And that’s why Hanauer is emphatic the team’s trend of having early seasons be write-offs won’t continue. Indeed, given the signing of Ruidiaz and Hurtado likely to follow, locking up Lodeiro long term and potentially adding another fullback shortly, the Sounders appear stocked for 2019 and beyond. It’s mostly 2018 that remains in doubt. And given how things are once again trending true to MLS form, that doubt may not last long.